We have already completed our discussion on connecting to our Web Server using SSH. 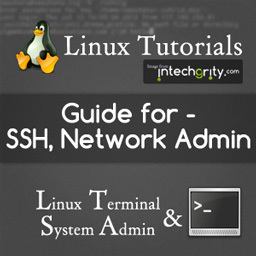 I’d recommend you to follow the last tutorial, where you will create your own pair of keys to login through SSH tunnel. After you login, you are given a standard Linux terminal, using which you can do, more than just a few things, to manage various aspects of your server. To do that, you’ll need to get yourself familiar with a few commands. 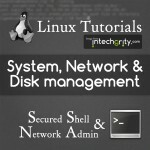 So, in the upcoming posts on this series, we shall discuss various Linux shell commands for everyday use. 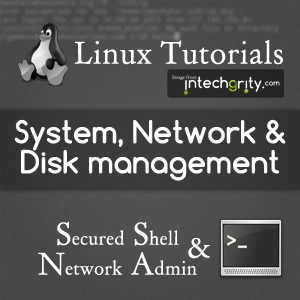 In this post, we are going to see a few useful system, network and disk management commands. You might want to check if someone else is logged in and her activities if she is. Along with this, the w command also prints a header which shows the current time, how long the system has been running, how many users are currently logged on, and the system load averages for the past 1, 5, 15 minutes. If you quickly want to check the header information given by the w command, then you can use the uptime command instead. It will just print the current time, how long the system is running and the load averages. /proc is a virtual filesystem created and managed by the kernel itself, where it stores and retrieves hardware information. You can do a list inside the filesystem to see what kind of information are available. and you will find a something similar like this. File system Disk space usage (for available partitions). File space on current directory. Reports file system disk space usage. In other words, it shows all the mounted devices, where they are mounted, how much space they have and much is being used. The best option is to run it with -h for a proper human readable output. If you wish to check the space used by directories residing inside the current directory, then you can use du command. When talking about remote servers, most of the network management are taken care by the hosting company itself. Yet, you would like to know the current status of the network or the hardware configuration. Checking active network connections and ports associated. and it will show the hardware MAC address, inet address, mask etc for all available interfaces. and it will come up with a detailed manual page with several examples and description. That’ll be all for today. If you have any problem or doubt, please ask us in the comments.